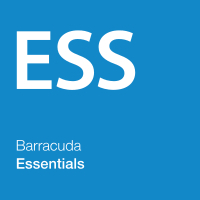 See this comparison of Barracuda Essentials vs Email Laundry. Protects business from targeted ransomware, spam, viruses and phishing. Small and medium sized businesses & MSPs looking for easy to use email security offering a good layer of protection. Large organizations looking for advanced data loss protection and end user controls. The Email Laundry focuses on keeping email safe from malware, phishing, spam, and other advanced threats. Using in-house developed algorithms, The Email Laundry protects email using cyber threat intelligence and multi-layered filtering to block spam and malicious emails before they reach users’ inboxes. 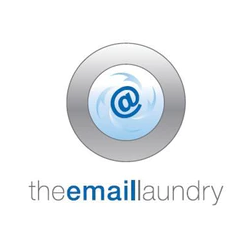 The Email Laundry offers an effective and easy to use email filtering and security service. It’s robust at filtering spam. It offers strong protection from targeted email attacks such as ransomware, viruses and phishing, from its content and connection filtering capabilities. The Impersonation Protection functionality is a key feature, helping to give businesses strong protection against phishing attacks. It offers a good range of security features and admin policies. However, this service has prioritised ease of use, and so there is a lack of some advanced policies such as data loss protection functionality. This is available in the back end, but there is no user interface. The ease of use and cost effective pricing makes the Email Laundry a good option for small to mid-sized businesses looking for an easy way to implement comprehensive protection. It’s also a good option for VARs and MSPs looking for a service that is easy to deploy and administer.